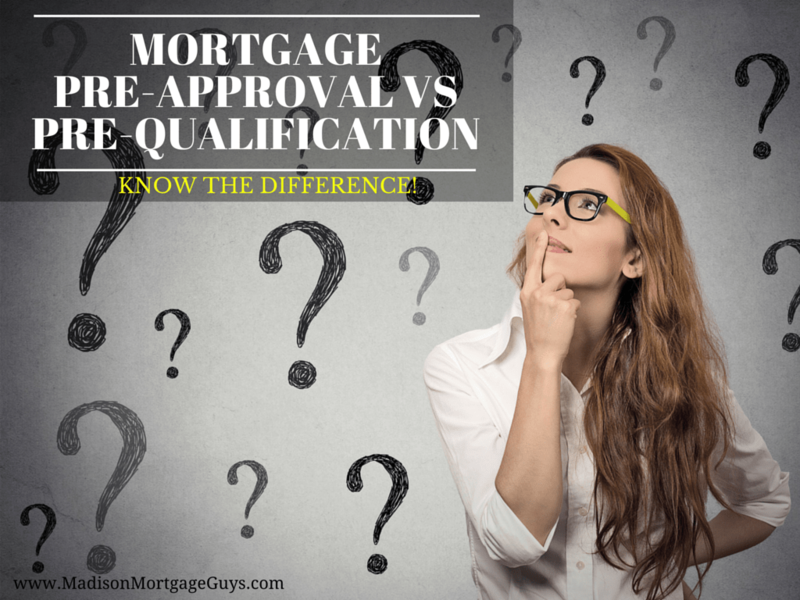 Mortgage Pre-Approval Vs Pre-Qualification - Know the Difference! There are a lot of terms used in the mortgage and real estate industry that may be unfamiliar to you, especially if you are a first time home buyer. The phrase Rate/Term Refi may not sound like much to you, but to a mortgage lender this simply means someone wants to refinance his or her existing mortgage in order to get either a better rate or a better term. 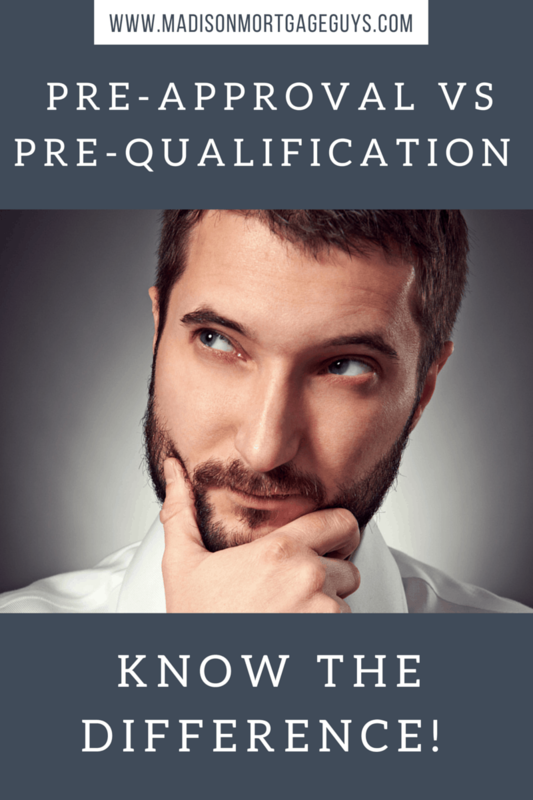 Likewise, pre-approval vs pre-qualification may sound the same but there are a few important differences between the two. A pre-qualification for a mortgage is quite simple. You call a lender, or visit their website, and provide some basic information. Things such as your annual income, your approximate credit score and your current debt payments are usually all that is requested. With this information, the lender will then tell you the range of mortgages that fit with your information. Although this sounds good in theory, it is really just a casual conversation between you and the lender. You have not provided any supporting documentation for your financial situation. The lender has not provided any formal letter stating that you can buy a home. Think of it like this; if you call a local department store and ask for a price to buy a pair of jeans and a t-shirt, the clerk will likely give you a rough estimate. However, this does not take in to account your style preference, color choice or even your size. It is just an idea of how much you might spend on some clothes, but nothing real definite. Compared to the pre-qualification, a pre-approval is proof to real estate agents and potential home sellers that you are ready to buy a home. Getting pre-approved is quite detailed and may take a few days compared to the 10 minutes of a pre-qualification. The lender will take all of this info and pull a fresh credit report for you. The financial data and credit report will be reviewed with a bit of scrutiny. The lender will compare your information to the mortgage guidelines and decide if you are pre-approved for a loan. If you are pre-approved for a mortgage, the lender will then provide you with a pre-approval letter. This letter will usually have your name and the lender’s name on it. It will state that the lender has looked over your information and determined that you are a good risk for a mortgage. Be sure to have your non-occupying co-borrower pre-approved as well. It’s important that everyone on the mortgage is pre-approved. Real estate agents are professional representatives of buyers and sellers. 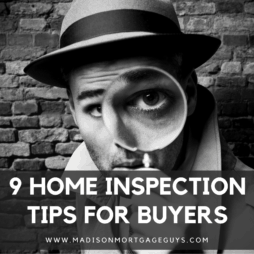 In order for a seller to take an offer seriously, the agent will need some reasonable assurance that a buyer can actually purchase a home if they put an offer on the place. This protects the sellers from reviewing offers that may be just wishful thinking on the part of the buyer. Another reason real estate agents asks for a pre-approval letter is that it also helps them get the correct focus. It really makes no sense for an agent to show a client a home priced at $425,000 if they can only afford $285,000. At the same time, it makes no sense to show someone a home priced at $79,000 if they are pre-approved for $325,000 and want to look in that price range. A pre-approval letter will also be a powerful tool if you are competing against other buyers. Sometimes a seller may get multiple offers on a home. While your offer may be slightly lower than someone else, your offer may carry more weight if you have been pre-approved and the other buyer is postponing talking to a lender. These are just a few of the many reasons why you need a pre-approval letter. 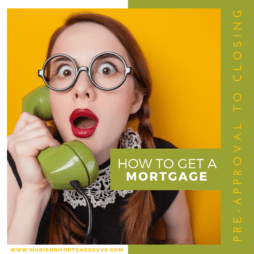 While you can see there is a difference between pre-approval vs pre-qualification, it is also important to understand that a pre-approval does not always mean that you will be approved for the loan. There are different reasons why someone will receive a pre-approval letter from a lender but then are turned down for a home loan. The most common reasons come from either the appraisal or the home title work. Some homes have structural damage or other issues that are not easily noticed by an untrained eye. Appraisers often see things beneath a home or in the attic that indicates a major problem. Likewise, the title report for a home is not easy to obtain. It requires a bit of research and sometimes the research turns up an issue with how the property was transferred among previous owners. On the other hand, there may be an issue with the property line or even an old judgement that needs to be paid. 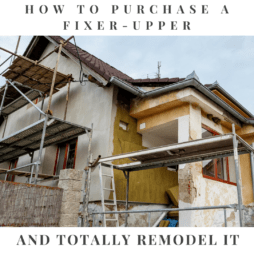 Sometimes, a lender may change their guidelines for a specific loan between the time a person gets pre-approved and the time that the loan goes to an underwriter. This is rare, but it does happen. Besides the appraisal and title issues, the most common reason for a person with a pre-approval to get turned down relates to their credit or employment. One missed payment on a debt or a change in jobs can jeopardize a person’s chance of getting a home loan. Suffice it to say, once you receive a pre-approval letter DO NOT miss a single payment to anyone and DO NOT change jobs. Wait until the loan is closed to make changes to your employment. Getting pre-qualified is a good idea if you are considering changing your living arrangements and might want to buy a house. This will let you know an approximate price range as well as the corresponding house payment. There are many signs that you are ready to purchase a home. When you feel that you are fully ready to take the plunge and buy a home, that is when you should seek out a lender and get pre-approved for a home.